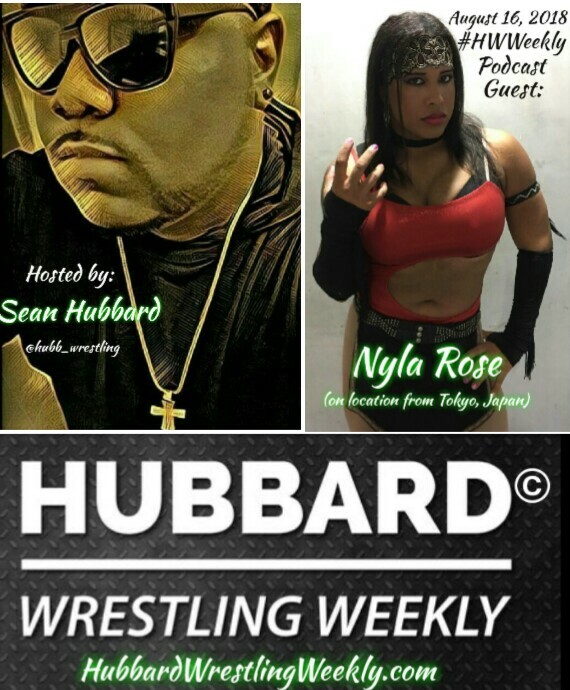 In one of the most highly anticipated episodes of the Hubbard Wrestling Weekly Podcast, we had the opportunity to interview, on location from just outside of Tokyo, Japan, a wrestling superstar by the name of Nyla Rose who is a multiple time World Champion, and someone who is a prime example of what the Women’s Evolution is all about. She is revolutionizing the professional wrestling industry with a unique style inside of the squared circle and a swagger that is undeniable. Click play and listen to what this star of the ring has to say about WWE, Ring of Honor, the Mae Young Classic, wrestling in Japan, and “Rowdy” Ronda Rousey. This is the #HWWeekly podcast, and she is the one and only Nyla Rose.